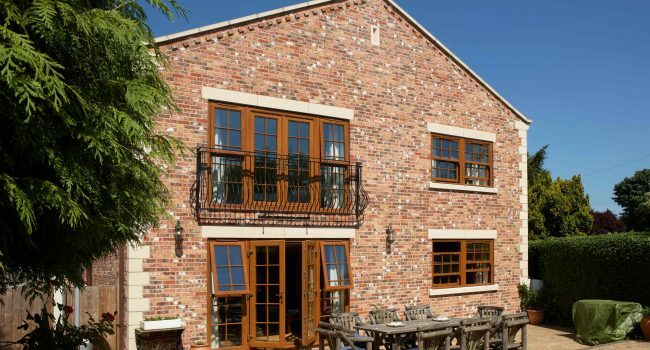 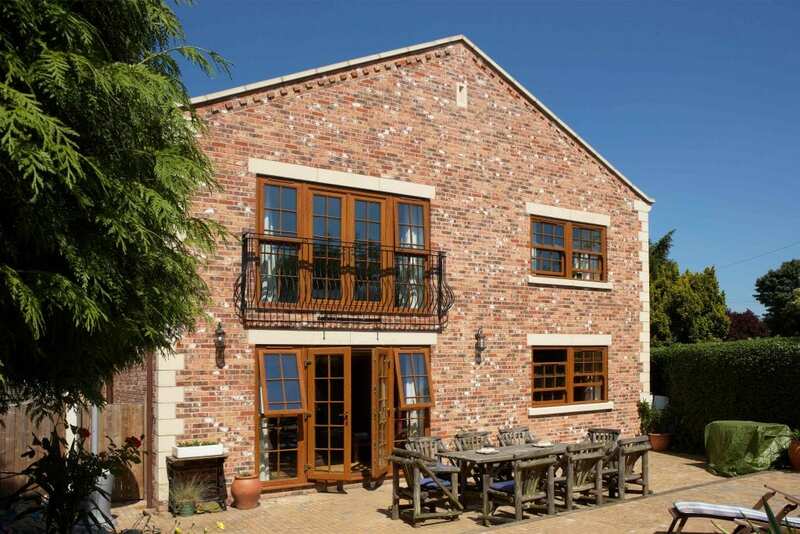 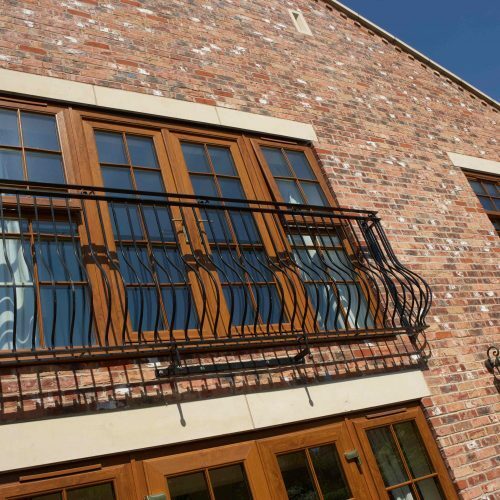 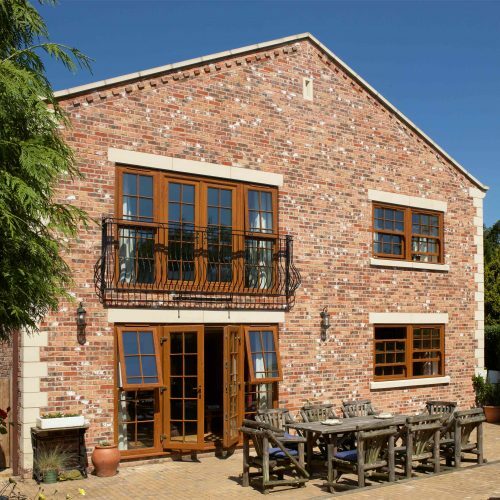 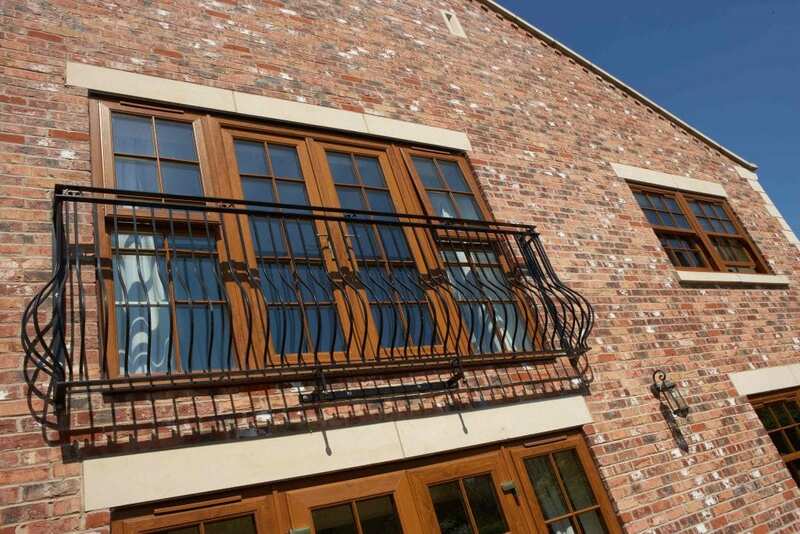 The amalgamation of light and dark brickwork on this beautiful barn conversion becomes even more prevalent thanks to the presence of these brand new Quickslide windows and doors installed. 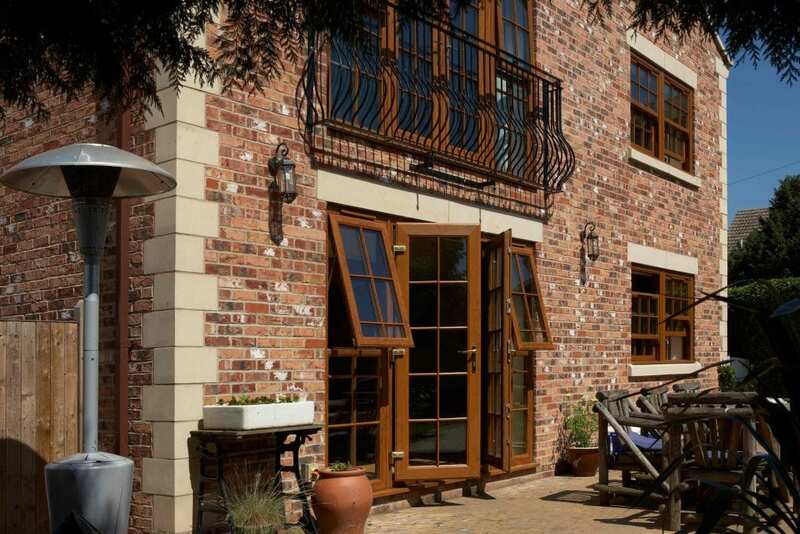 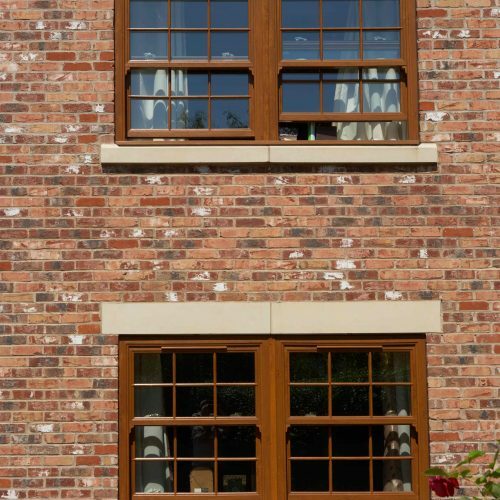 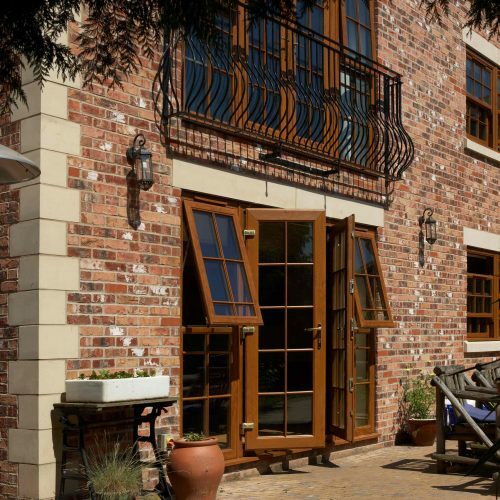 The Light Oak (Golden Oak) woodgrain coloured casement doors and sliding sash windows in a flag configuration (two windows joined together) will prove invaluable for ventilation on those warm summer days, as will the matching French doors with opening sidelights, whilst in the midst of winter there’s no chance of the building ever feeling draughty due to the energy efficiency they provide. 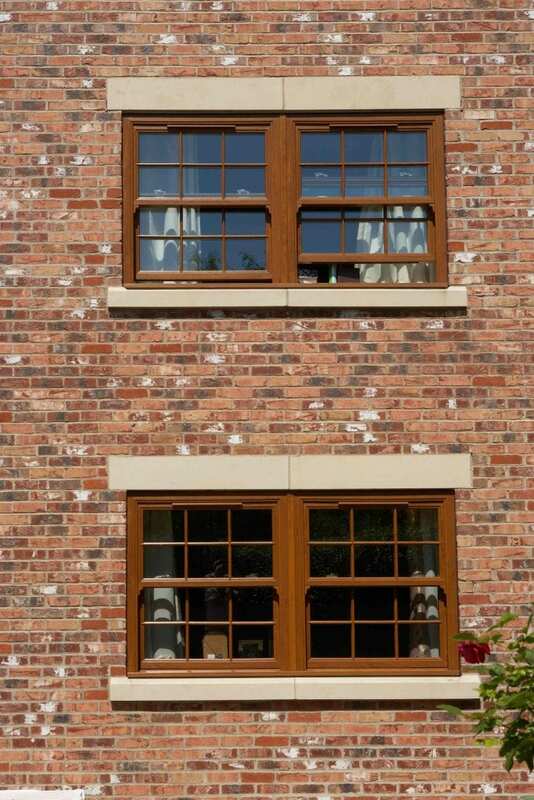 The gold window and door furniture looks pretty neat too.